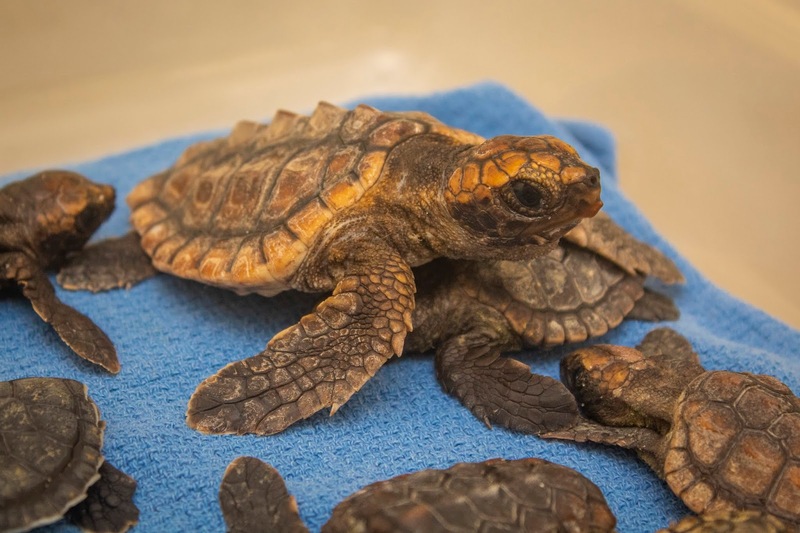 MELBOURNE, Fla., October 10, 2018 — Brevard Zoo’s Sea Turtle Healing Center is caring for nearly 300 green and loggerhead sea turtle “washbacks” pushed ashore when Hurricane Leslie disrupted their habitat. Sea Turtle Preservation Society (STPS) volunteers are transporting the turtles to the Healing Center. Individuals who find washbacks should immediately call STPS at 321-676-1701 or Florida Fish and Wildlife Conservation Commission at 1-888-404-3922 for rescue instructions.